This 'Home' tab allows the user to check the whole recording modes and check the recorded videos/images. Rectangle area: You can record a partial area in the rectangle window. Fullscreen: You can record the whole screen of your display. Around mouse: You can record around the mouse cursor being moved by the user over the desktop screen. Game recording: You can record gameplay while showing FPS. 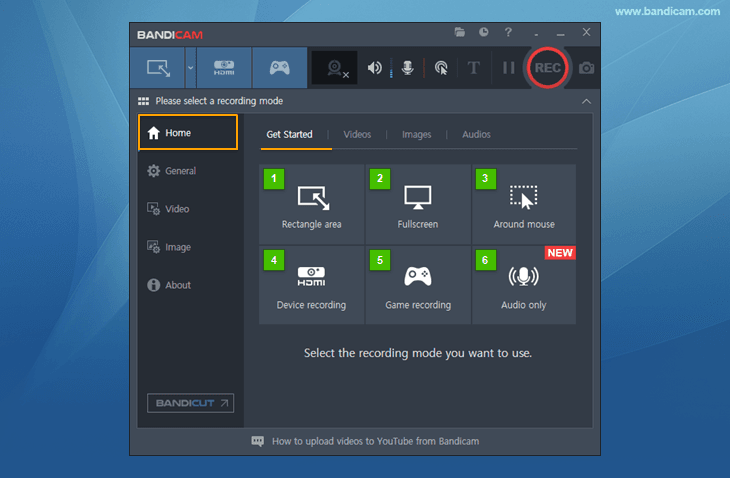 Device recording: You can record external video devices such as a Webcam, Xbox, Smartphone, IPTV, etc. You can move to the Get Started, Video or Image tab. The output path is displayed. Click the path to see the captured files with Wndows Explorer. The captured videos/images can be sorted by date, name and size. The resolution of videos/images, FPS, codec, recording time and file size are displayed. The captured videos can be shown by the default media player or image viewer program. 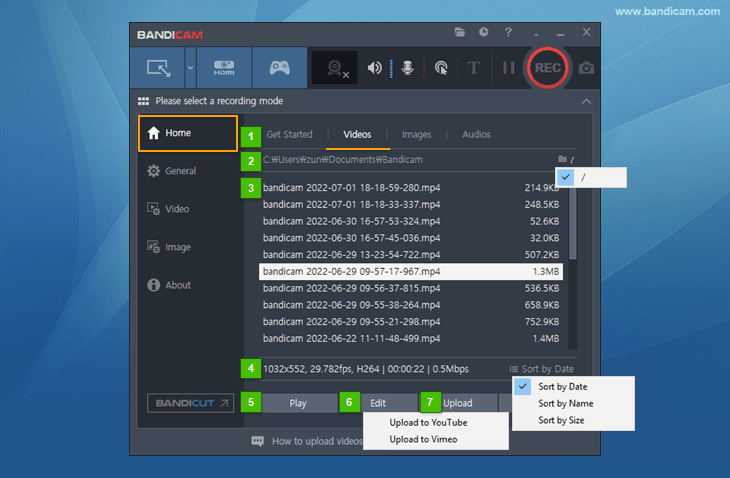 The captured video can be cut/edited by the fast and lossless video cutter called Bandicut. 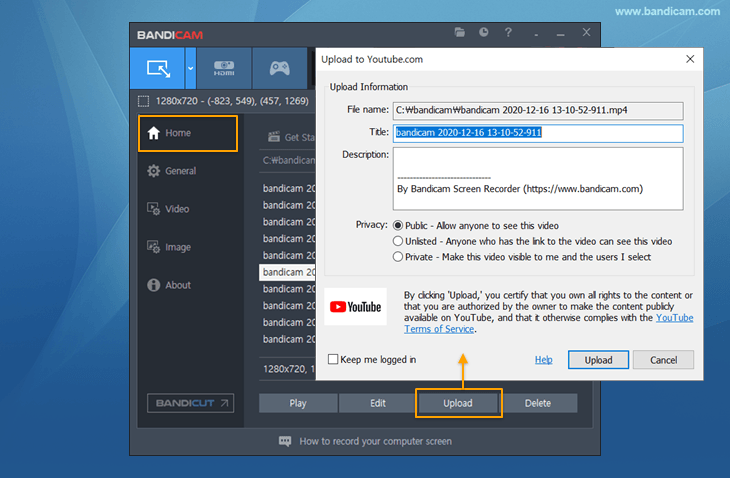 The captured videos/images can be uploaded to YouTube or Vimeo from Bandicam.